His wife also released a statement, saying she’s “utterly heartbroken.” He leaves behind three children from a previous marriage. Celebrities have taken to Twitter to mourn his death. 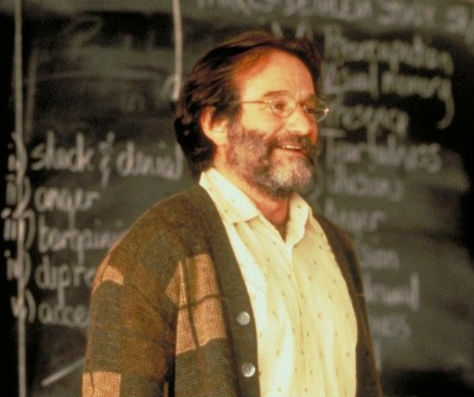 Williams was nominated for Oscars for his roles in Good Morning, Vietnam, The Fisher King, Dead Poet’s Society, and Good Will Hunting, which he won in 1997. He most recently starring in the CBS sitcom The Crazy Ones, and was next set to star in Night at the Museum: Secret of the Tomb, which he recently tweeted about. 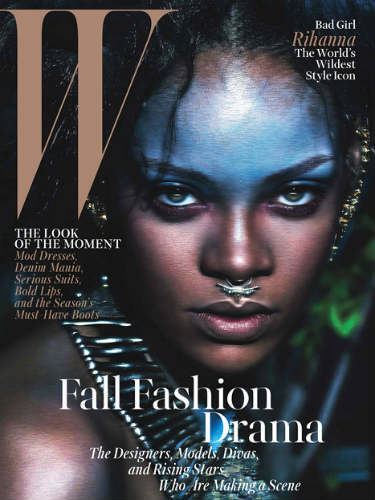 –Rihanna is channeling her wild side for W’s September cover. I love it so much, I’m willing to refrain from rolling my eyes at the news she brought her own “mood board” to the photo shoot for inspiration. -Sorry ladies, but Idris Elba just burst your bubble by explaining the bulge in his pants in the viral photo that’s floating around is actually just a mic wire. At least he’s got a sense of humour about it. -Speaking of Kendall, I had to write about her and her ilk during last night’s Teen Choice Awards, which made me feel super old and out of touch (more so than usual). Nothing really shocking happened, though Selena Gomez did cry on stage and allude to Justin Bieber when talking about dealing with lots of personal stuff lately. -Meanwhile, Selena may have made up with Taylor Swift. -Why didn’t Ariana Grande want to kiss Ian Somerhalder? WHAT’s WRONG WITH HER?! -Meanwhile, Ian and Nikki Reed didn’t walk the Teen Choice carpet together — but they were spotted looking cozy. -In other teen news, Justin Bieber serenaded Kylie Jenner at her 17th birthday party on Saturday night. -I can never picture Sarah Jessica Parker roughing it (mostly because of that SATC ep where she goes to Adian’s cabin and burns her legs on pie), but her Instagram feed tells a different story. –Beyonce continues to use her Instagram account to fight divorce rumours. –David Duchovny and Tea Leoni have been separated since 2011 but only got around to getting a divorce now, just in time for her to start doing press for her new show Madame Secretary (which I’ve seen and didn’t hate. It’s kind of like Scandal Lite, but there’s a cute subplot about how she gets a makeover when she wants to distract the press from her political activities). -FunnyorDie’s new videos on raising minimum wage feature Christina Hendricks tries to navigate the modern office environment and Kristen Bell playing a pissed off Mary Poppins. -Everyone’s raving about Clive Owen‘s new show The Knick, which premiered on Friday. If you missed the first episode, the whole thing is on YouTube. -My cousin recently introduced me to a show called The People’s Couch, which basically consists of watching other people watch TV. They should really cast Game of Thrones teen Maisie Williams and just have her watch bad ’90s sitcoms, because her Saved By The Bell reactions are great. –Bob Odenkirk pleads his case in the first teaser for Better Call Saul. I don’t know about this, guys. I just don’t know. -For some reason, this year’s Emmy Awards are on a Monday night (which happens to fall the day after the VMAs — are they trying to kill us?!). At least the presenter list is stacked.